In most cases cracked, broken, and tooth additions to existing dentures can be repaired while you wait. Over time, changes occur in the mouth and as a result, the dentures become loose or ill- fitting. 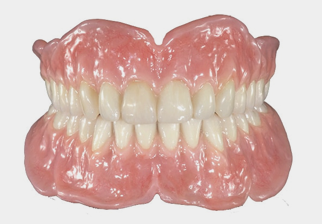 To ensure continued comfort, your dentures should be relined or refitted every few years. For this procedure, new material is added to the inside of the denture to provide proper fit and comfort. 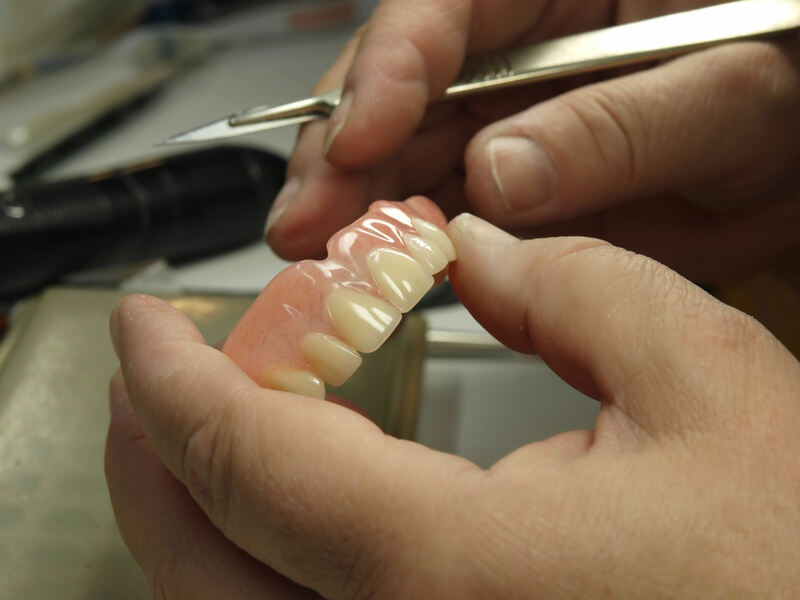 All of our dentures are made with the best materials available today. Dentures cannot last forever. 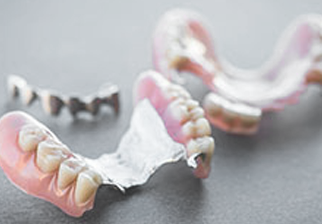 Although each case is individual, as a guideline, dentures should be replaced every 5-7 years. 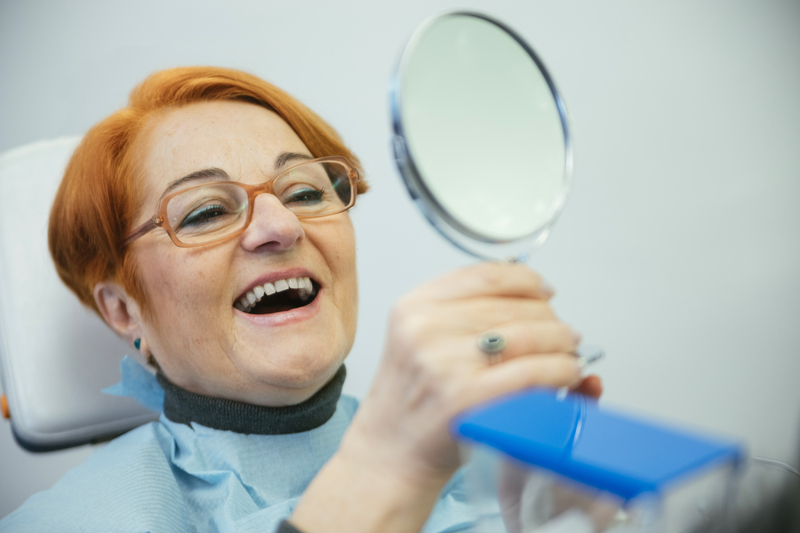 It is important to replace worn or poorly fitting dentures before they cause problems. 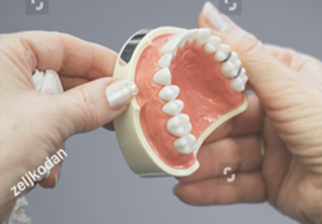 A Partial Denture is a removable, yet natural looking dental appliance that helps restore the form and function of your jaw by replacing one or several missing teeth. 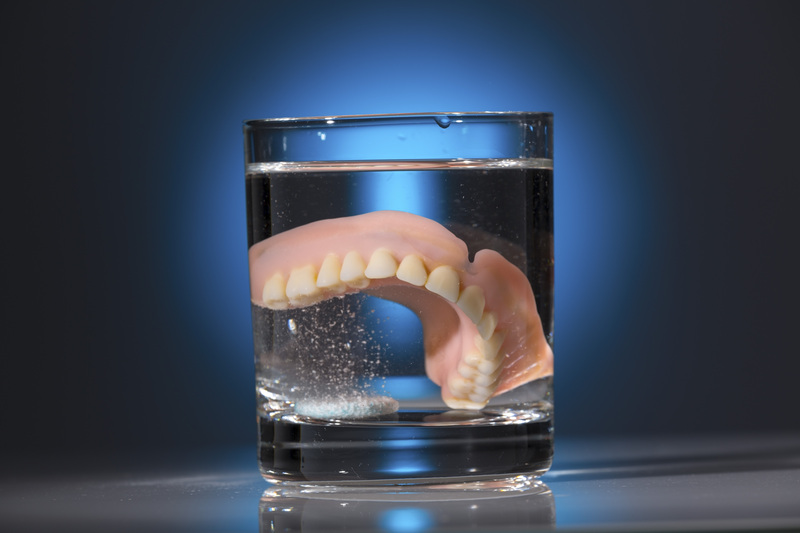 Partial Dentures are made from a combination of metal and acrylic which gives them strength to handle your needs for chewing and speaking, while also looking natural.